Many of Samsung’s smartphones and tablets released in the U.S. will receive an update to Android 4.0 Ice Cream Sandwich, with a couple of notable exceptions. While newer Samsung Android phones will be graced with Android 4.0, if you have a Galaxy S, an original 7-inch Galaxy Tab or if you are a T-Mobile customer, you may be out of luck. 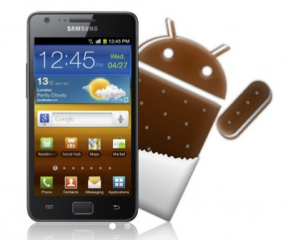 On AT&T, Android Ice Cream Sandwich is coming for the Galaxy S II, S II Skyrocket, the Galaxy Note, Glide, Nexus S and the 8.9-inch Galaxy Tab. For Sprint, the Galaxy S II Epic 4G Touch is set to get the update, while Ice Cream Sandwich for the Nexus S 4G is already available. On Verizon, only tablets are listed for Android 4.0 upgrades: the Galaxy Tab 10.1 and the Galaxy Tab 7.7, and the Wi-Fi only versions of the Galaxy Tab 7.0 Plus, Galaxy Tab 8.9 and Galaxy Tab 10.1 are on the list, too. Still, there are no specific dates when you should expect the update for your Samsung device. If you have a different make of Android phone, JR Raphael over at Computerworld has the ultimate list of Android devices and their status on the Android 4.0 update.